I started to get that feeling that something needed to change a few weeks ago, so I decided that I wanted to paint my living room walls. I headed to the local Sherwin Williams paint store located in Cambridge, Ohio. 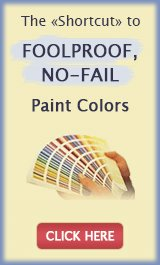 The employees of this specific paint store are super friendly and helpful. I would recommend Sherwin Williams paint to anyone. 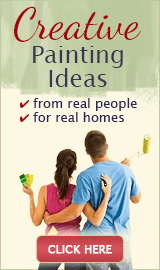 This paint is extremely durable: I have two children who are pretty rough on the walls in our home. I have had walls colored on and toy cars run across the paint etc. and it did not chip or peel. The paint I use for the inside of my home is the interior latex semi-gloss. Semi-gloss paint can stand up to being scrubbed, cleaned, bleached, and more. My living room has been an off white for as long as I have lived here. I decided to go with a blue-gray color called Silvermist this time. I chose this color because it is earth-like. Colors that are earth-toned pretty much go with or match anything such as carpet, your furniture, curtains and more. My husband and I painted our living room by ourselves. The job went fairly well. It seemed like the worst part was taping and trimming. It took about four hours to paint this room and that included us taking small breaks. The end results of our hard work were great. I left later that day and when I come home it was like I was coming home to a new place! I am extremely proud of my new and improved living room. Painting this room made my entire home look better. The best part of it is the comments we get from other people about how awesome our home looks now. 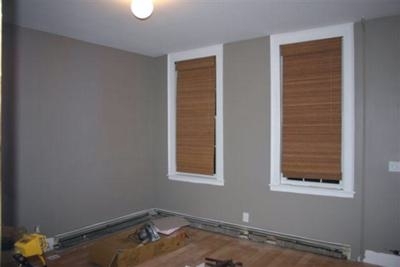 Painting a room is like giving it a face lift. Don't you just love it when your home has that new look and you get compliments from everybody. If only it was easier to re-paint, i would do it more often. Haha! Return to Blue Paint Colors.